I can’t say no to any potentially interesting and creative project and that’s what I saw when I came across Loafun. The website is the brainchild of a team of enterpreneurs from New Delhi who after seeing a friend decorate and wear his Converse shoes, realized this was an idea with great potential and started working on it a year and a half ago. 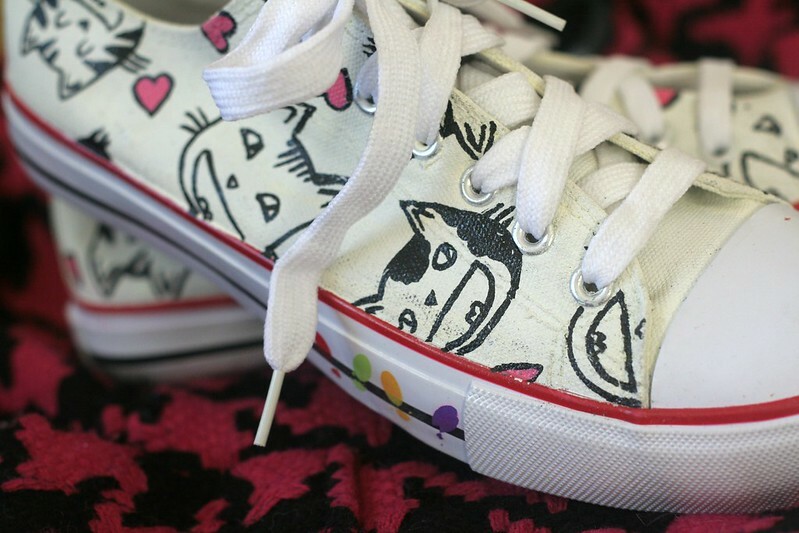 The website has grown from offering only a few set designs to allowing users to upload their own artwork and have them hand painted onto the shoes. It’s been on for 6 months and is now also getting active in the retail industry in New Delhi. 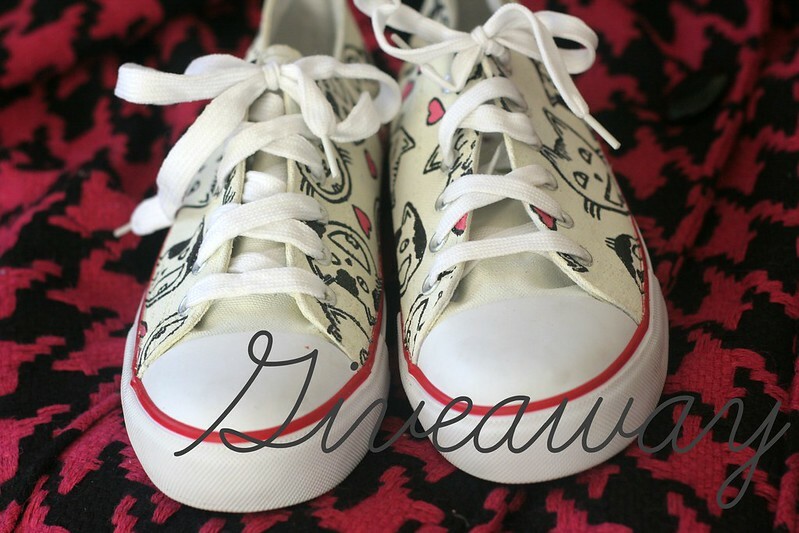 Currently Loafun offers canvas shoes but will be expanding the collection to leather ballerinas and pumps. Exciting! The website is extremely easy to use and straightforward. All you have to do is upload your design following the instructions on the page and wait for approval. 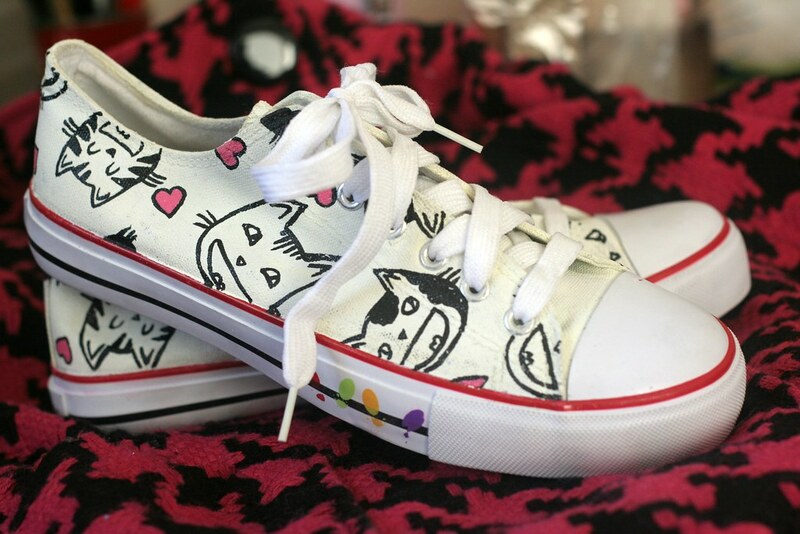 Once it is approved, it will be hand painted onto the shoes and should reach you in a short period of time. I was surprised at how quickly my shoes were produced, I must say. Watch this fun video, as it does explain everything very clearly. Loafun would like the world to know about his shoes and idea and that is why they are reaching out to bloggers such as myself, to show the potential of this fantastic idea. You, my dear friends and readers, will be the ones benefiting from this as I am giving away the Hello the Mushroom shoes to a lucky participant! The shoes presented are one of a kind and designed by yours truly. They are a UK size 6/ EUR39 and it’s really easy to enter the giveaway, just follow the instructions on Rafflecopter – you can earn two entries entry per action, one per comment. If you perform all the actions, the more chances you will have of winning, so get clicking and good luck! This giveaway will start today the 22nd of January at 12AM and end on 29th of January, 12 AM (London time). PS: no payment has been received, the shoes have been provided by Loafun for giveaway purposes. That’s such a fantastic idea! And your Hello The Mushroom shoes are just adorable (unfortunately too small for me. And how did you think of your blog name?). This produce-on-demand idea seems to be catching on in so many ways. 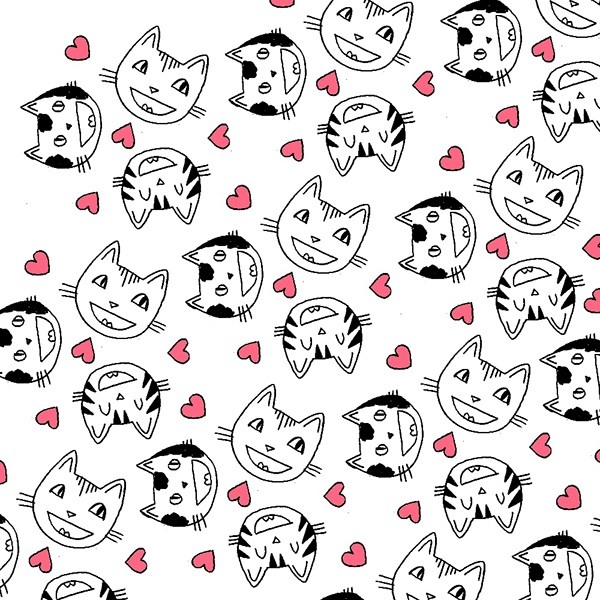 I saw a website that produces fabric in patterns that you upload – Spoonflower, I think. I love the idea of being able to get completely unique clothing. That sounds great, really fun and creative? LOVE the concept! Your print is darling — you should post it on Society6. I’d buy a mug in it! Converses are too uncomfortable for me to wear. Even my traditional Jack Purcells hurt my feet. WAH! (I do have some extremely padded suede JPs that are like slippers though. I wish Converse would reissue those). Thanks for the suggestion, I’ll definitely look into it! I would wear them with everything! but especially with cropped skinny jeans and a great Kelly Duffy red gingham top.